Regarding your article ‘Deathly Silence Prevails in Pakistan’ published in several newspapers and reproduced by NewAgeIslam website where I saw it – you make some valid comments but to say that there is a deathly silence is untrue and unfair. Many people in Pakistan have been raising a voice, fighting for their rights and against vigilante violence and unjust laws even before the murder of Punjab Governor Salmaan Taseer. 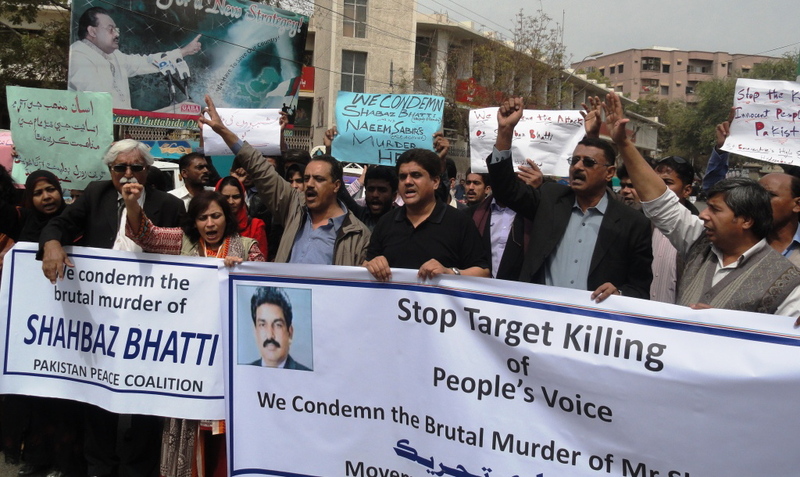 The murder of Federal Minister Shahbaz Bhatti was a huge blow, but they are still speaking out. Please visit the Citizens for Democracy (CFD) blog to get an idea of some of the public statements and rallies that have been made over the last two months. The country’s most widely watched television channel, Geo TV broadcast a tribute to Shahbaz Bhatti – ‎”Na Tera Khuda Koi Aur Hai, Na Mera Khuda Koi Aur Hai…” (which translates essentially to: ‘we have the same God’). Hundreds of prominent people, as well as students, have endorsed an open letter about these murders – you can see the list of names at the CFD blog. A mass public signature campaign aiming for thousands of signatures is starting on Saturday March 12 in Karachi ( 11.00 am-7.00 pm opposite Park Towers. People are requested to bring some postage stamps and lots of friends). To dismiss all these voices, people coming out in public at the risk of their lives, as ‘deathly silence’ and to say that Sherry Rehman is the ‘last woman standing’ is to do a grave injustice to all those who are coming out in public and speaking up. event was jointly organised by Movement for Peace and Tolerance (MPT) and Pakistan Peace Coalition (PPC) and the rally was joined and addressed by a large number of civil society, peace and human rights activists, lawyers, writers and concerned citizens. Bol Jo Kuch Kehna Hai Keh Le!